hitaru matinee for March will present beautiful music from Jo Hisaishi and J. Williams. 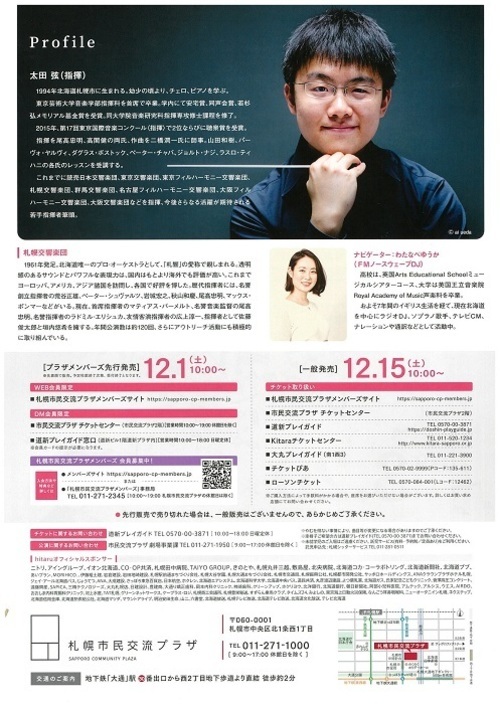 With Sapporo Symphony Orchestra, we will have a young maestro from Sapporo, born in Heisei era, Gen Ohta. ※Seats may be sold out by presale, before the general sale. U25 seats: for those who are born in 1994 or after 1994, can can be purchased at Doshin Playguide and Community Plaza Ticket Center. Please bring your birth ID. ※Additonal charge may apply depending on the ticket agency. For some agencies, ticket selection may not be possible. Please consult each agency. 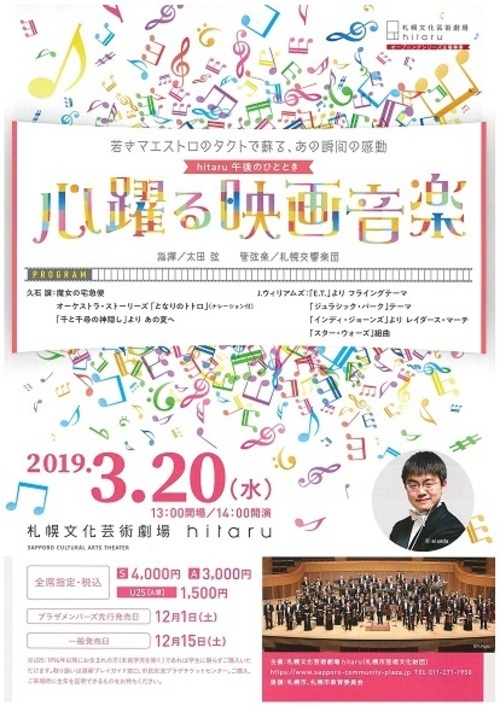 ※The program, performers, start hour of the concert may change.